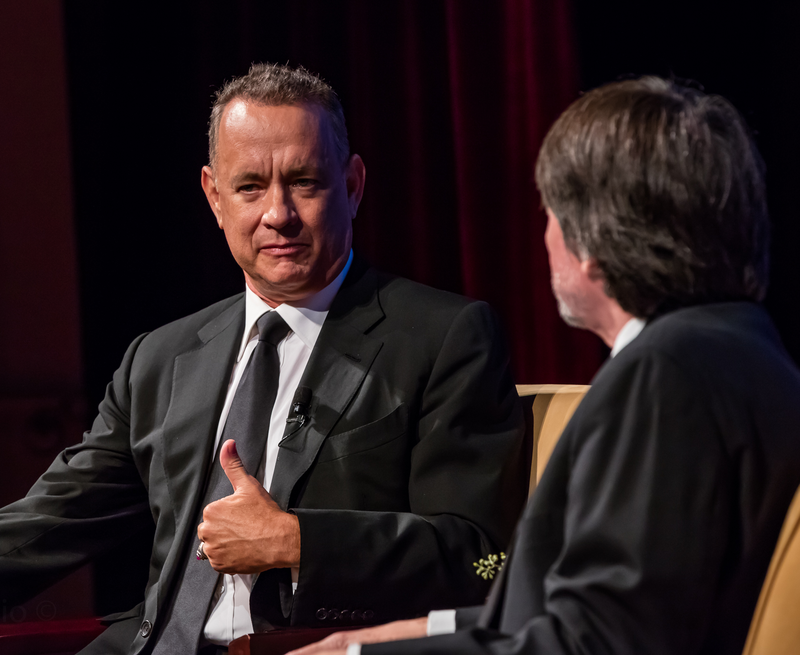 WASHINGTON, October 16, 2017 — For the past four decades, Tom Hanks has helped make films and television programs that touched on some of the most pivotal events and compelling people in our nation’s history. 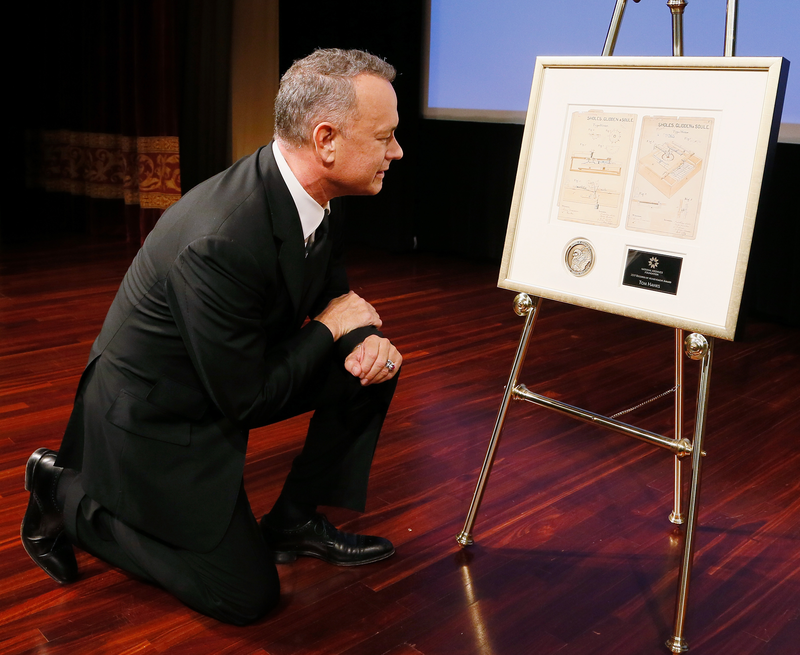 The National Archives Foundation honored Hanks on October 21 for his work in helping tell America’s story by awarding him the Records of Achievement Award. The award recognizes people “whose work has cultivated a broader national awareness of the history and identity of the United States through the use of original records,” according to the foundation’s website. The foundation is the National Archives’ nonprofit partner, generating financial and creative support for National Archives exhibitions, public programs, and educational initiatives, introducing America’s records to people around the U.S. and the world. 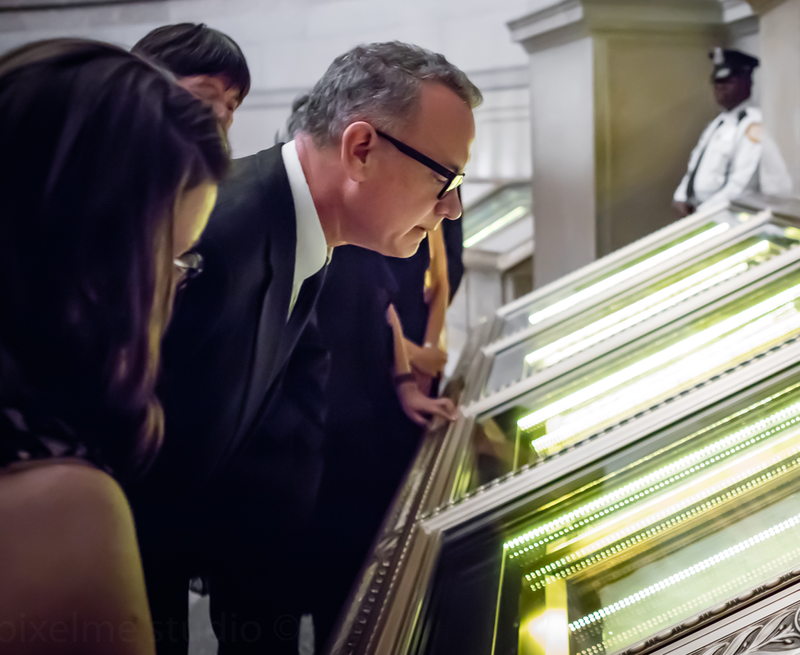 The National Archives is home to the records that helped Hanks tell so many of these stories of our nation’s history. 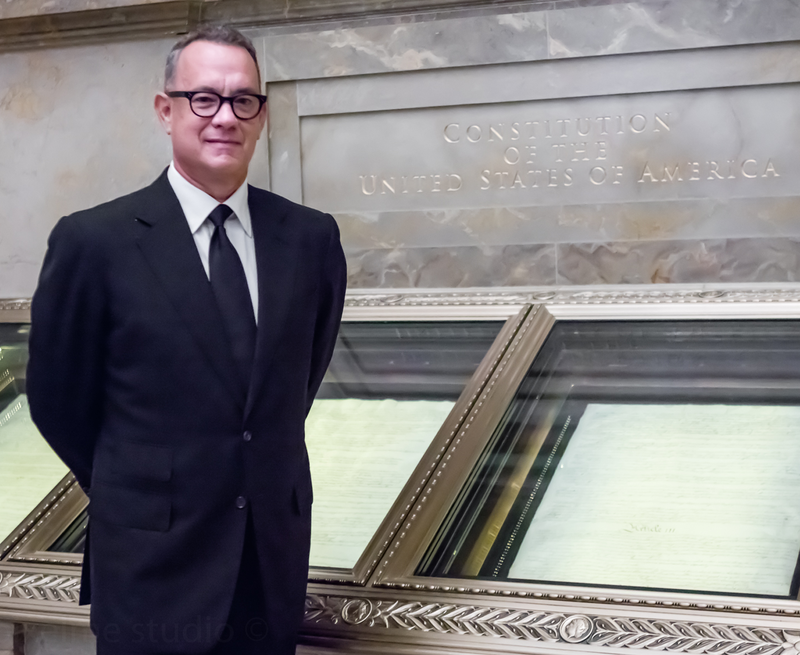 In honor of Hanks’ award, archival experts at the National Archives shared some of the documents and records that connect our holdings to Hanks’ four decades of work in film and television. Here are some of the things they suggested. Hanks played astronaut Jim Lovell in Apollo 13, the 1995 film about a failed 1970 lunar mission. The film helped illustrate the international “space race” of the 1960s and 1970s by telling how NASA tried to get three astronauts safely back to Earth following massive damage to their spacecraft. The National Archives houses a plethora of space exploration-related records and information. Hanks was involved with several projects about World War II. He starred in Saving Private Ryan, a 1998 highly acclaimed film about a team of Army Rangers searching after the Normandy Invasion for a missing paratrooper who is the last survivor of four brothers serving in the military during World War II. He also served as writer, director, and executive producer for Band of Brothers, a 2001 television miniseries about 101st Airborne Division paratroopers fighting their way across Europe in World War II. Additionally, he was an executive producer for The Pacific, a 2010 miniseries about Marines fighting in a variety of battles against the Japanese during the Pacific campaign. The National Archives houses an abundance of records relating to World War II, from photographs, posters, documents, and motion pictures to military personnel records as the National Personnel Records Center in St. Louis, Mo. The 1994 film Forrest Gump, based on the Winston Groom novel of the same title, tells the story of a man’s adventures as he lives the American experience during the 1950s, 1960s, and 1970s. The movie won the Academy Award for best picture, and Hanks won for best actor. The National Archives holds records that help tell the story of American life and times during those turbulent decades. From documents and artifacts at our Presidential Libraries and Museums for Presidents Kennedy and Nixon to the National Archives’ new Vietnam Exhibit, these records helped to paint a picture of our world and nation during those decades. In the 2002 crime film The Road to Perdition, Hanks portrays a mobster during the Great Depression era in Chicago — much like the infamous real-life mob boss, Al Capone. The National Archives has documented Capone’s records over the years. The National Archives also houses many historical documents about the life of Capone, including his draft card and a 1931 U.S.court’s verdict against the gangster. 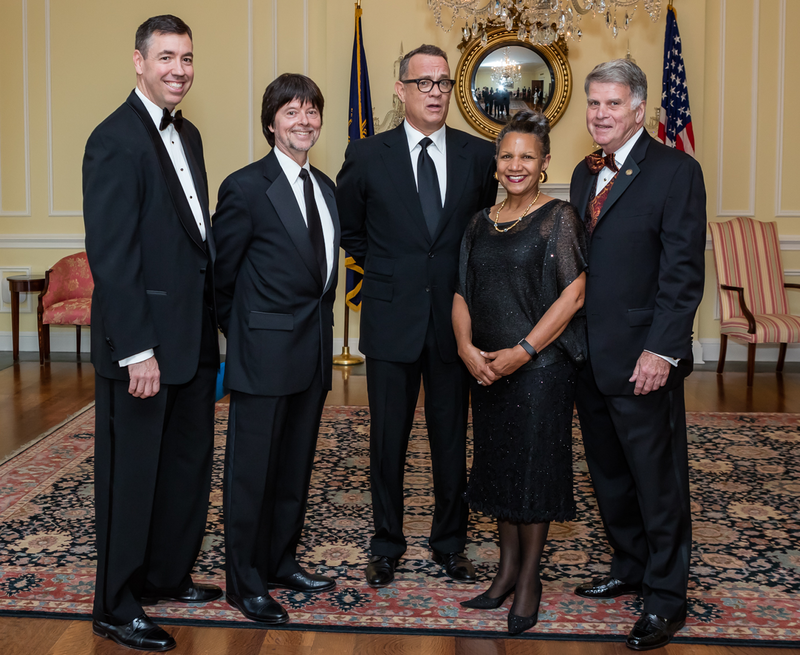 Previous recipients of the Foundation’s awards include film director Steven Spielberg; documentary filmmaker Ken Burns; journalist, historian, and biographer Ron Chernow; philanthropist and financier David M. Rubinstein; Broadway celebrity Lin-Manuel Miranda; and others. The film Saving Private Ryan is said to be loosely based on the lives of the four Niland brothers who all served in the United States military during World War II. (National Archives, NAID 4693889) This is the draft card of one brother, Edward Niland. Do You Know This Archival Hanks Trivia? This page was last reviewed on October 24, 2017.